Mr. Salt-E Grapplemelon is as refreshing as it gets. An invigorating blend of tangy green apple and juicy watermelon, Grapplemelon is a vape juice that's ideal for anyone who loves a fruity vape. 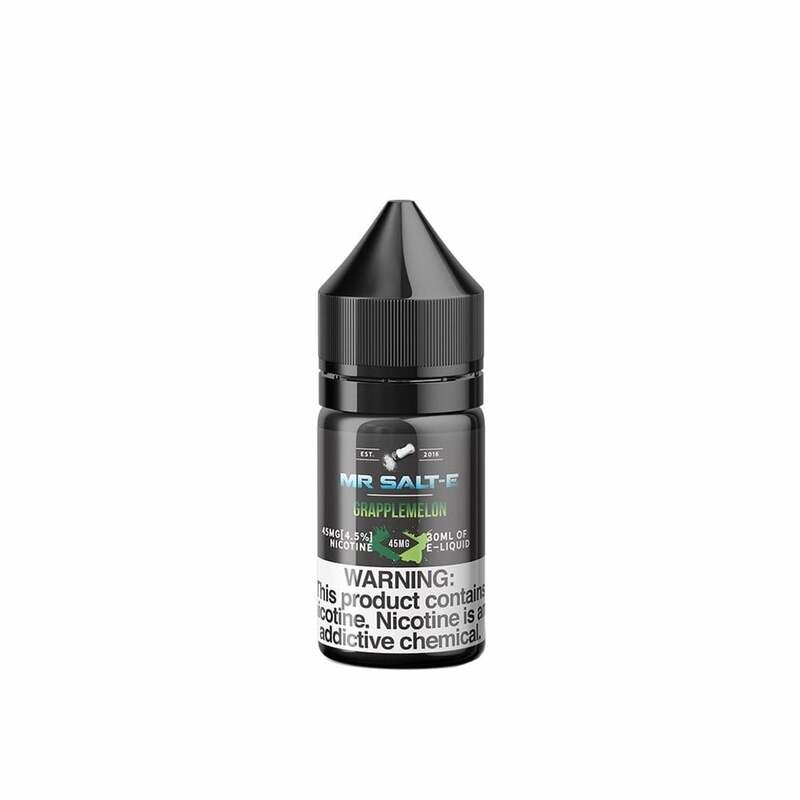 Keep yourself feeling fresh: pick up this nic-salt-infused juice today! Good flavor, good quality juice. This juice tastes pretty good. I have been using it for juul refills. It is a bit harder than normal juul juice but it's not too bad.